The site of Long Island Automotive Museum was sold over 2 1/2 years ago. While driving through Southampton last Saturday, I was fearing the worst...but was pleasantly surprised. The buildings are still standing and being used. For the first time in years, the buidlings can be seen from the main road. Some of the lettering for "Long Island Automotive Museum" are still hanging on. 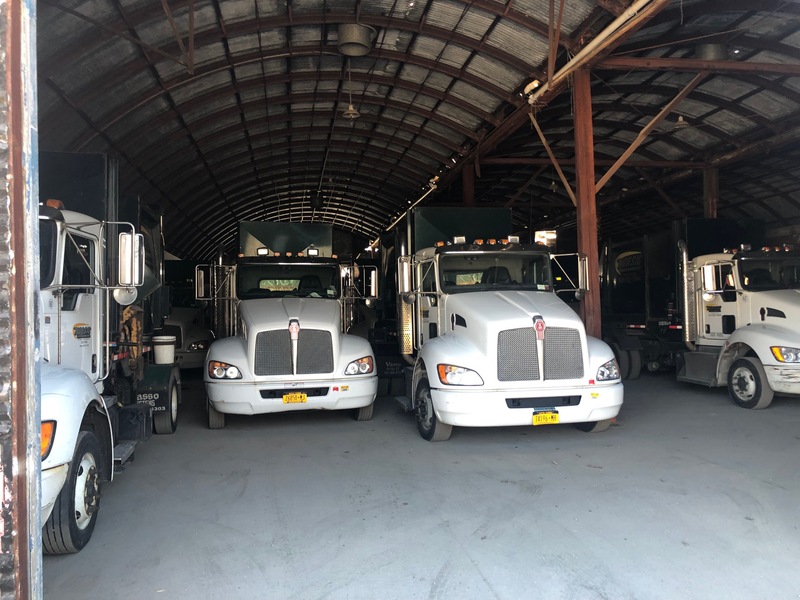 The property is now being utilized as a truck storage facility. I never actually been here when it was active, but definitely enjoyed learning of the museum’s history and Henry Austin Clark of course. Norsic Family said they would utilize the property & buildings, and that’s exactly what is seen here. Thanks for documenting, Howard. Those buildings were put up in 1947 or 1948. Amazing they have not totally rusted away considering that the ocean is not terribly far away, salt sea air etc. I spent many happy hours there, have many many stories and memories of the man, the cars, the friends etc. Perhaps one of the fondest memories was the party Austin had when the museum closed and he had a traditional jazz band there to play a New Orleans style wake. Cartoonist Charles Addams ( of the Addams family) was there for the wake with his wife Tee, and wore a black arm band that night in tribute to the museum closing. Austin loved traditional jazz and he and I would go into NY City to Jimmy Ryan’s jazz club on West 54th street often. The Iron Range Days he held were absolutely great ( when you were invited to buy parts etc) It was from that site that Austin gave me a ride in his type 35 Mercer raceabout up North Sea Road and back down again to the museum, and he told me we had the car up to nearly 100 mph. It was interesting trying to stay in that car on a bucket seat with no seat belt, doors , windshield etc. Fond memories of the great fellows who he had working for him there like father and son Eddie and Lance Aldrich too. All kinds of good stuff - when back in the ‘truck barn’ up on a ladder and looking in a bin 20 feet off the ground having a racoon stare back at me as I looked into one of the bins…...............the circa WWI era carved oak table that was in the lobby that had brochures of local sites piled on it I bought from Austin as well as a matching china cabinet and those have resided in my house now for about 40+ years , and fond memories are generated every time I look at them. Great that it is being used and that the grounds have been cleaned up. Thanks for taking the time to video it and updating the rest of us…. Thank you for documenting and sharing these videos Howard. Must have been a sad day when the museum closed. Good to see that the buildings are utilized. Thanks for sharing your memories Walt. I didn’t see the smaller building in the back in the vintage video. Anybody know when that structure was added to the property? Didn’t this property sell for a hefty price due to its zip code? Much too expensive to just use it for storage , I assume…. Wondering what plans the owner has in store…..
Just some of my thoughts….. Thanks for the update, Howard. 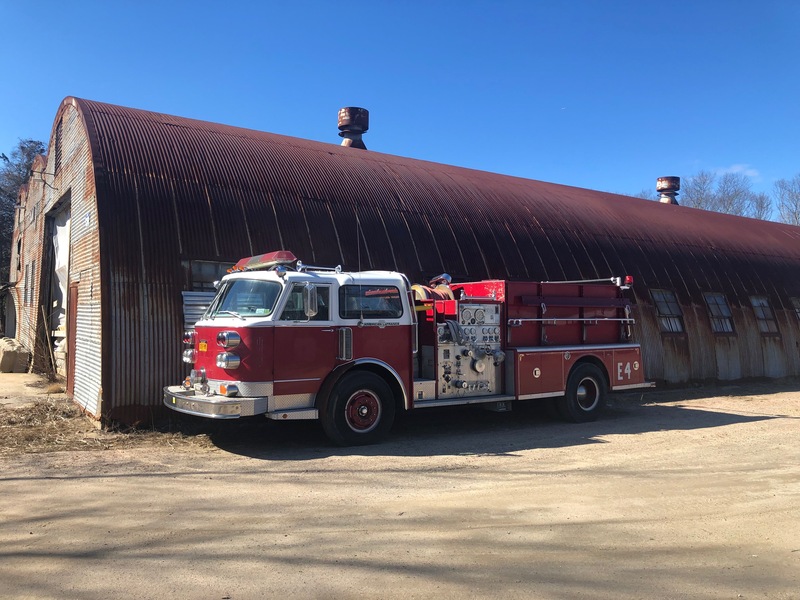 As an ex-Long Islander, I often think about the Museum where I was given a ride on the Shady Hollow (was that the name) fire truck as a 7-year-old. Yes Howard thanks for the update. And thanks Walt for your memories of them days. Thought the place would be demolish for some deluxe shopping plaza like the others in the area. I’ve been there in about 1957? me a preteen? a car nut even then, had saw the historic dilapidate Thomas Flyer on the display, saw it again at Harrah’s Museum in about 1977? restored complete with the emergency stuff and some fake mud splatter like on that winning NY to Paris run on some platform with a scenery behind. Nice memories! I forgot to mention I was there a week before it close. Hey all was the museum the first vintage auto museum in the country at the time?? 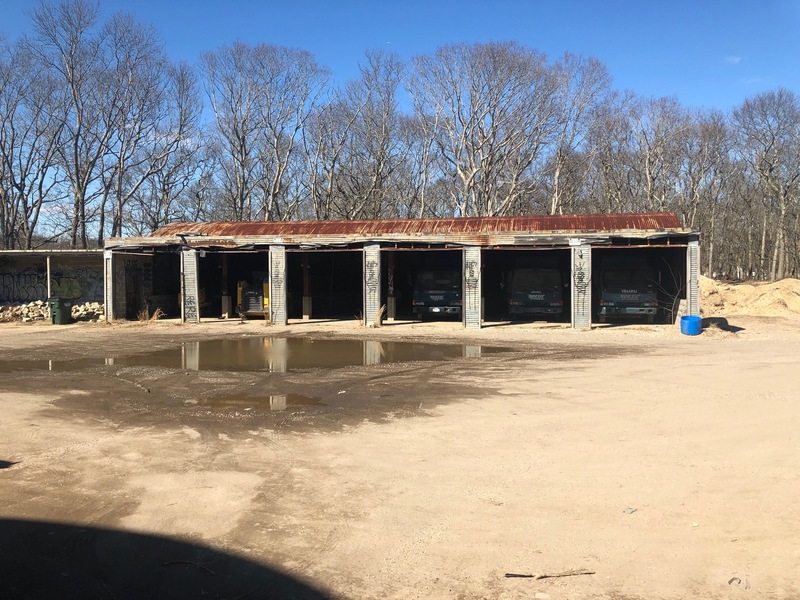 Perhaps, not the ‘best’ desired current utilization of the ex- Henry Austin Clark, Jr. LIAM garages/facility however utilization as such is better than leaving it abandoned to rust into the ground and be re-claimed by vines & weeds. 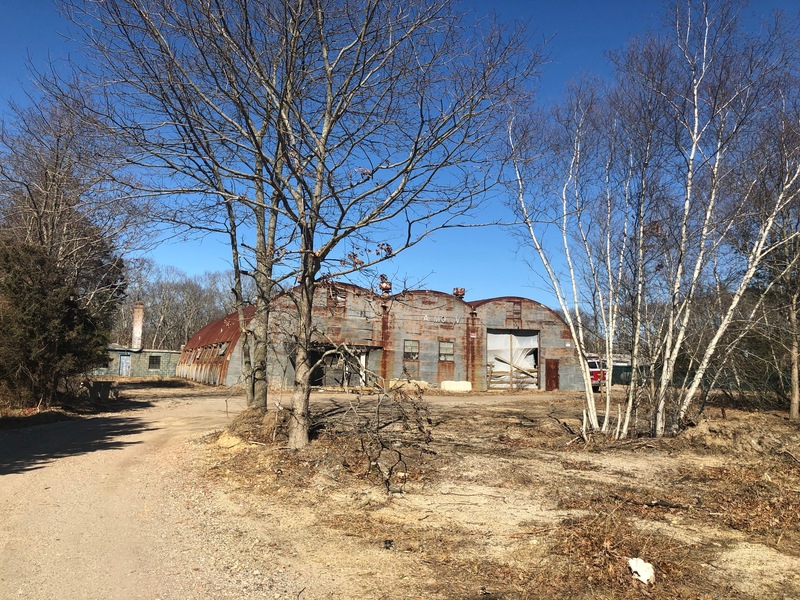 Hopefully the current owners will work to seriously maintain the originality of the buildings and structures and put their stamp on this chapter in the on-going LIAM preservation story. 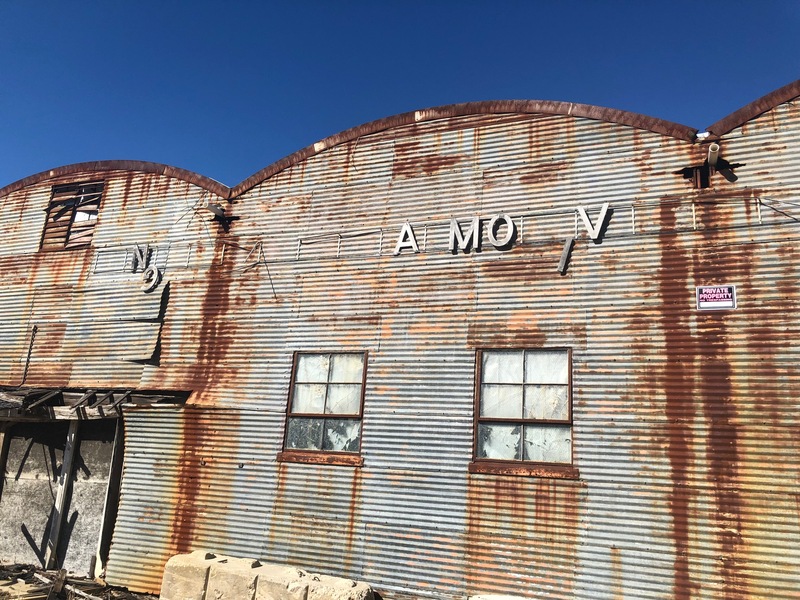 Hopefully someday the entire facility can be reclaimed as part of a new vehicle museum. Ditto to Francis G. Clax. This site needs to be registered as an historic site before changes are made to it. Not sure but it could already be in process thanks to its current owner. Much appreciation to Mr. Femenias for his positive response on my initial LIAM update comment and while Frank’s response, i.e., “This site needs to be registered as an historic site” has definite merit, registration and designation as a “historic site” comes with a number of pitfalls and restraints not needed if someone is otherwise careful in preservation, restoration and maintains a focused dedication and sympathy to the original design, basic construction, purpose and automotive significance. I would still like to see everything preserved that Henry put into the facility one way or another - Heritage Matters. Thanks HK for accepting my comments for posting. Sam, just to let you know I was at the Simeone Museum event the other day, had with me of the print outs of what you want to see in a large envelope, thrust to Howard on way his out to the Demo event of the day, he quickly put it in bag, so I’m not sure if he got to see it? thrown out? He’s a very busy guy these days. As for scanning, have to learn quickly, maybe to you sbiii.com? Mark, great to see you yesterday in Philly. Thanks for the information! John will scan and will post later in the week. Could someone tell me the actual date of the museum’s closing? Thanks.